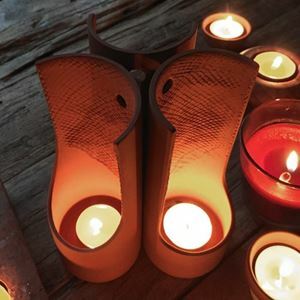 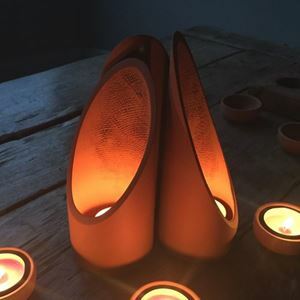 Perfect for those summer evenings outdoors our terracotta tea-light lanterns create an atmospheric glow around the patio table. 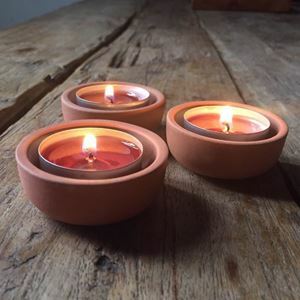 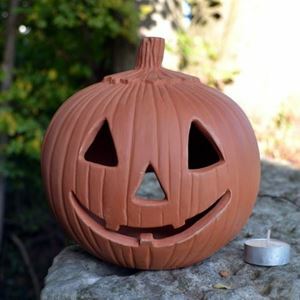 The tealights illuminate the terracotta creating a warm orange glow. 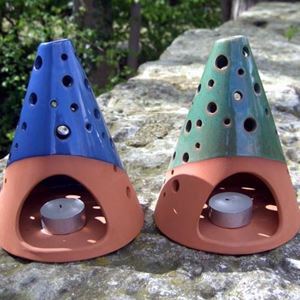 Hand-made in our family-run Nottinghamshire pottery.